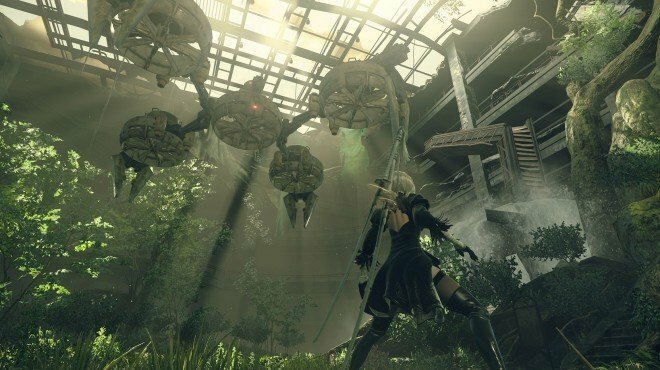 Investigating Communications is a Side Quest in NieR: Automata. "Command has lost contact with an access point. Go to the access point in the collapsed section of the city ruins and find out what's going on. Machine lifeforms were hanging around the access point, and their jamming signals were interfering with communications. Interact with the access point to restore it. You reported the restoration of communications in the target area. The Commander was shocked that the machine lifeforms would lay a trap for androids in such a fashion." This quest is give to you automatically upon entering City Ruins during the main story quest: The Forest Kingdom. Head to the City Ruins: Cave access point and destroy the machines there, then use the Access Point.